Customize your notepad with your name and logo. Stylish and practical at the same time. 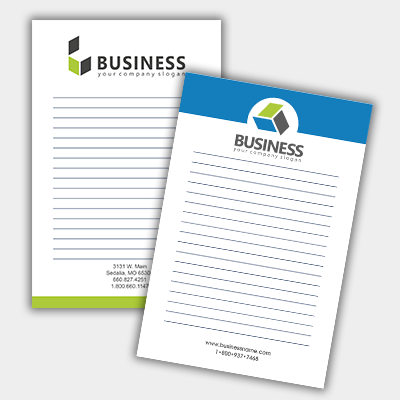 Notepads serve a lot of purposes for businesses. They not only can serve as marketing merchandise which can be distributed among customers but also as office stationary. Design the perfect notepad today. -Comes in 2 different sizes, 4" x 5" or 5.5" x 8".